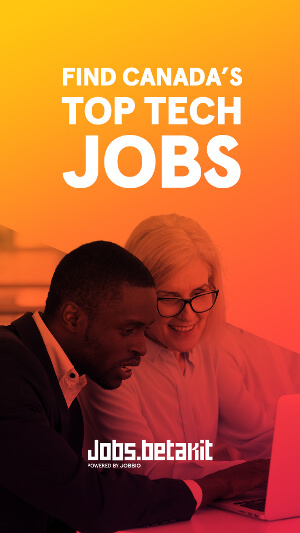 From shoes to shirts and leather jackets, if it wasn’t for the signage hung from the ExCel centre in London that said “The Wearable Tech Show”, you could have easily mistaken the exhibitor area as a buyer’s show for retail. At a time when the wearable space is dominated by activity trackers and smartwatches, smart clothing was a huge trend at the UK’s largest wearable tech show suggesting a near future where wearables are less tech gadgets, and more just the things we already wear. Smart garments are expected to be a major growth category in wearables. Gartner suggests that smart fitness clothing could reach 26 million shipments globally next year, giving it more market share than wrist-worn activity trackers and smartwatches. Health and fitness is just one major use for connected clothing. This year’s show highlighted five key use cases for smart clothing, which I expect will continue to be explored by tech manufacturers and fashion designers over the next few years. Whether riding a bike or working in construction, clothing equipped with innovative lighting systems aim to keep people seen and safe at all times. 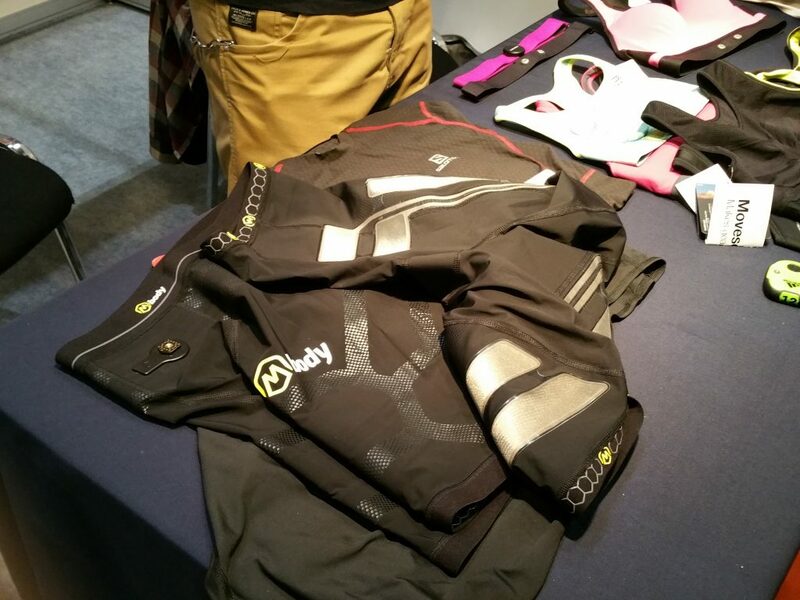 Early wearable electronic clothing leader Visijax was exhibiting its connected jackets for cyclists at the show. Its Commuter Jacket is equipped with a total of 23 integrated LEDs, allowing the raincoat to take visibility to the next level. The jacket’s front and back lights ensure that the cyclist can be seen no matter what time of day or weather condition. But most interestingly are the motion-activated lights on the sleeves of the jacket, which activate when a cyclist raises their arms to provide on-jacket turn signals to the vehicles behind them. Where Visijax is targeting the cyclist, Fhoss Technology’s light safety wear wants to keep professional workplaces safe. Fhoss’ jackets, vests, and helmets use a patent-pending technology that combines traditional reflective tape with an illuminated core, allowing it to light up without the need for ambient light. The tape is powered by specially developed, mini rechargeable power cell that lasts more than 12 hours. Fhoss’ technology is being used by the likes of the London Underground and Caterpillar. The impact of Fhoss’ technology is succinctly captured in a video which shows how ineffective current reflective clothing is without ambient light, which can often lead to injury or death on the job. Keeping warm is one of the essential reasons we wear clothing. But extreme weather, especially the Canadian winter, can make it unbearable to be outside despite the number of layers you wear. Two startups in the CrunchWear Startup Zone at this year’s show illustrated how wearable tech could change this. Michelle Hua is the founder of MadeWithGlove, a startup developing heated gloves for women. Hua came up with the idea to create a fashionable pair of heated gloves after a trip to Prague that saw minus 21-degree weather. Right now, the gloves are an early prototype created during a hackathon, but Hua has gained the support of the University of Lancaster to beta test the existing prototype to eventually take it to market. Whereas Hua is tackling the hands, Teiimo leather jackets aim to keep the upper body warm. The International startup headquartered in Germany was showcasing its iilation jacket, which originally debuted back in the fall of last year. The iilation jacket is a heated leather jacket with an integrated Bluetooth system for hands-free calling and music playing. According to Teiimo, the jacket is the first of its kind to heat shoulders, back, neck, and kidneys. The jacket’s two heating zones can be controlled separately and the heat can be adjusted within the five levels it offers. The jacket keeps to the level you choose by monitoring the temperature of the jacket using the integrated temperature sensors inside the coat. Battery life is the Achilles heel of all technology today. Harnessing the power of the sun seems to be a unique opportunity to keep our tech juiced up and ready to go throughout the day, and a company called O-range knows it. 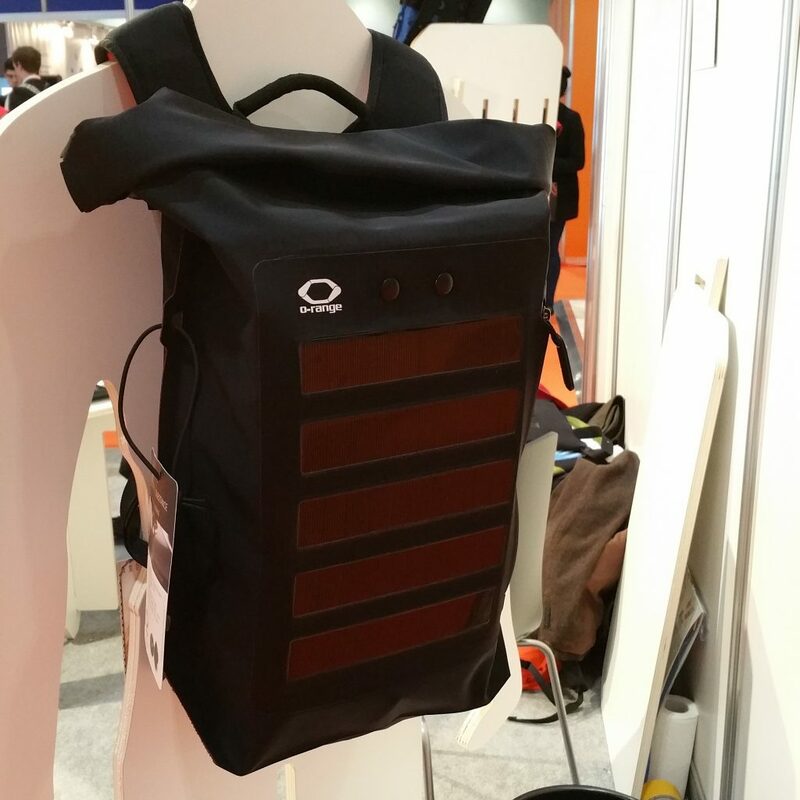 The Italian company was featuring its Action Backpack, a lightweight and waterproof bag equipped with a solar panel. The solar panel on the backpack collects energy from the sun and stores it in a battery in the bag. O-range says that the battery can get enough energy to fully charge a smartphone after being in direct sunlight for two to three hours. If a backpack is too casual for you, the company is also offering a soft messenger bag with similar capabilities. If your clothing could talk what would it say? Ducere Technologies believes it could tell you where to go. 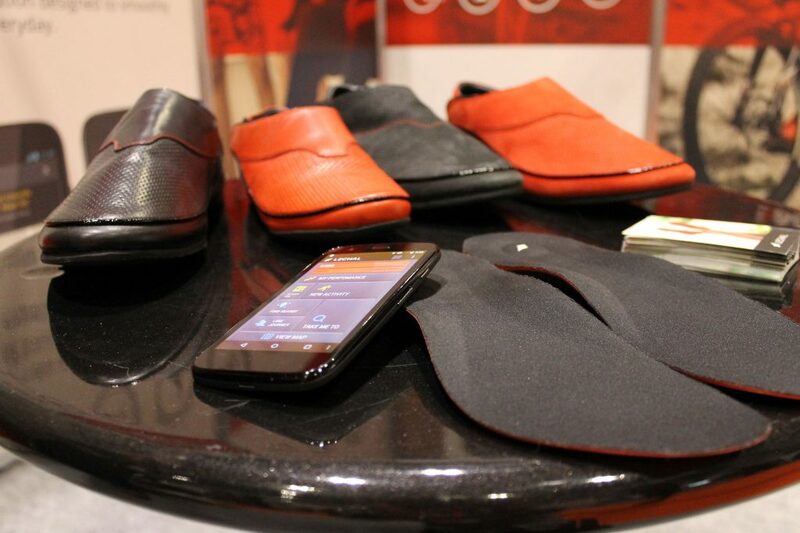 Lechal is a smart shoe that uses haptic feedback to help you navigate. When paired to the Lechal app, which syncs with Google Maps, the shoes vibrate to let you know what direction to turn: a buzzing right shoe to turn right, and a vibration in the left for the other direction. The shoe was originally designed to help the visually impaired, but the company is now providing its technology to a wider audience. If you aren’t a fan of the shoes, the company is also offering the same technology as a smart insole that you can use in a pair of shoes you already own. As smart clothes have access to the body on a persistent basis, they lend themselves well to monitoring and measuring our health and fitness. Ducere’s Lechal not only acts as a navigation tool, but also doubles as a fitness tracker. The smart shoes can identify which activity the wearer is engaged in – walking, running or biking, for example – and then track metrics like steps, distance, speed, and calories burned to help you meet your goals. 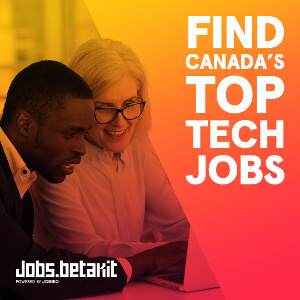 Clothing+ is a developer and manufacturer of comfortable wearable sensor solutions for leading brands in the sports and medical segments. Instead of creating its own clothing, Clothing+ partners with existing sports and medical brands to make clothing smart. They work with the likes of Adidas, Garmin, Under Armour, Philips, and Timex. They currently produce millions of comfortable sensor products every year in their factory in China, and according to Malmivaara, are seeing an overwhelming amount of demand. Whether it’s to keep you safe, fit, or going in the right direction, it’s time we start expecting more from our clothes than just keeping us from being naked. From the amount of smart clothing at the Wearable Tech Show this year, that time may be sooner than you think.